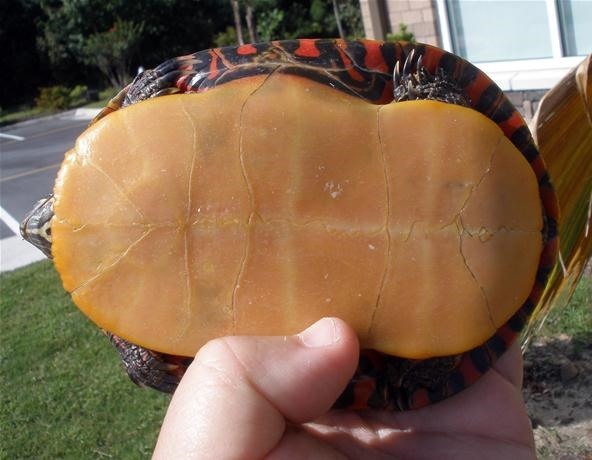 The PLASTRUM (or PLASTRON) is the ventral part of a turtle's shell, which is the almost flat part on the underside of a turtle or tortoise. It's one of the main two parts of the shell, the other being the CARAPACE, which is the upper portion. Both the plastrum and carapace are made of fused bones, the carapace consisting of the ribs and vertebrae (about 50 bones) and the plastrum made up of the clavicles (collar bones), bones between the clavicles, and portions of the ribs. The plastrum also contains an external layer of horny material that is divided into plates, which are called SCUTES. The upper and lower portion of the shell are joined by a bony bridge along the side of the turtle. 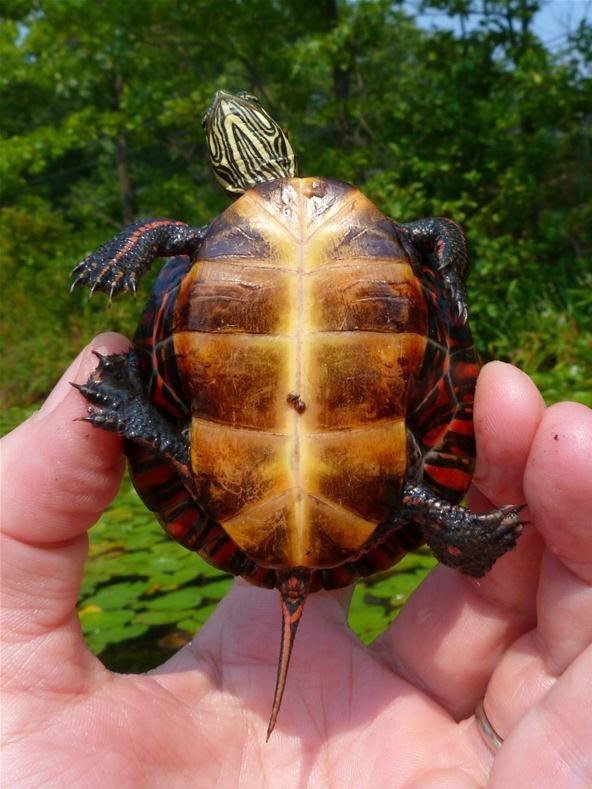 Some turtles have a moveable joint in the plastrum that works like a hinge, allowing the turtle to pull the shell sections together as it retracts its body inside. This allows it to enclose itself complete within. Also, both parts of the shell have a blood and nerve supply, so bleeding and pain does happen. Turtle shells are not indestructible. 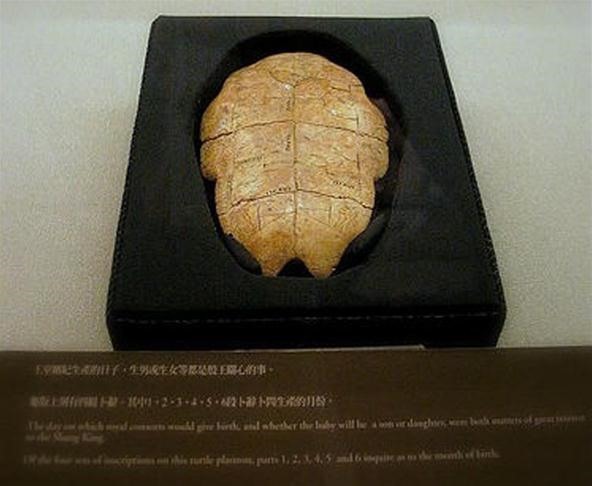 The above photo is an oracle bone at the National Palace Museum in Taipei, which is a plastrum. Oracle bones which usually made of ox scapula or turtle plastrum, and were used for divination chiefly during the late Shang Dynasty. Follow @scrabbleworld on Twitter and like on Facebook.